If you are reading this webpage, there is a good chance that you received a speeding ticket that is returnable in the Fulton City Court. Many similarly situated drivers have received a speeding ticket or moving violation along State Route 481 or State Route 3. Whatever the case may be, there can be no doubt that you are facing hundreds of dollars in fines, hundreds more in penalties, significant insurance increases and points on your license. We can help. 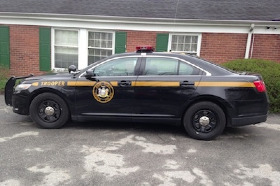 Our traffic ticket law firm has helped thousands of drivers all around New York State save time in court, points on their license, and hundreds in fines and penalties. If you have a speeding ticket, give our lawyers a call to schedule your confidential consultation at 800-893-9645. About Our Firm: We have over 30 years of legal experience and we are led by a former New York City Prosecutor. Our experience has given us the unique ability to defend cases with a keen analytical eye. We are able to quickly assess a driver’s strengths and weaknesses which helps in the defense of speeding tickets, traffic tickets, and other moving violations. Court Location: Fulton City Court is located at 141 South First Street. Its postal zip code is 13069. It is in Oswego County. Fulton City Court is a court of local jurisdiction. It maintains a busy civil and criminal calendar. To accommodate it’s heavy calendars, it has one of the best court staff in the State. In addition to their civil and criminal calendars, it also maintains a busy traffic court calendar. Court Tidbits: Fines on speeding tickets are due at the time the ticket is resolved. The court accepts credit cards, cashier’s checks and money orders. Personal checks and partial payment will not be accepted. Starting in 1983, New York State imposed a mandatory surcharge on the resolution of certain offenses. As such, in addition to a fine, the court may require a driver to pay a surcharge. Fines can be paid in cash at the court clerk’s office. The clerk’s window is open from Monday through Friday from 8:30 am to 3:30 pm. If a driver fails to timely pay a fine, their privilege to drive can be suspended. The State Police Troop D issues many of the tickets and they are prosecuted by the District Attorney’s Office. Traditionally, speeding tickets are verified by Stalker Dual and confirmed by visual observation. Many other police agencies can issue tickets returnable to this court including but not limited to Town Police, State Park Police, and Sheriff’s Department. If you have traffic ticket in New York, give us a call today at 800-893-9645.